Saudi Oil Minister, Khalid al-Falih, arrives at the Future Investment Initiative conference in Riyadh, Saudi Arabia October 24, 2017. 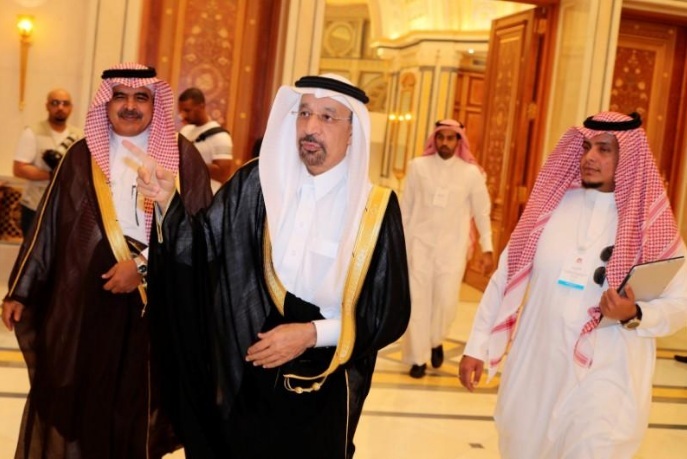 RIYADH - Saudi Energy Minister Khaled al-Falih said on Tuesday that there was flexibility and options were open on an OPEC-led oil output reduction agreement. “We have reduced the inventories by over 180 million barrels and we still have about 160 million barrels according to numbers I have seen last,” he told Reuters at an investment conference in Riyadh. Saudi Energy Minister Khaled al-Falih said on Tuesday that there was flexibility and options were open on an OPEC-led oil output reduction agreement. Falih, who holds the rotating presidency of OPEC, said monitoring was under way on compliance with the deal but he was satisfied and focused on everyone working together.